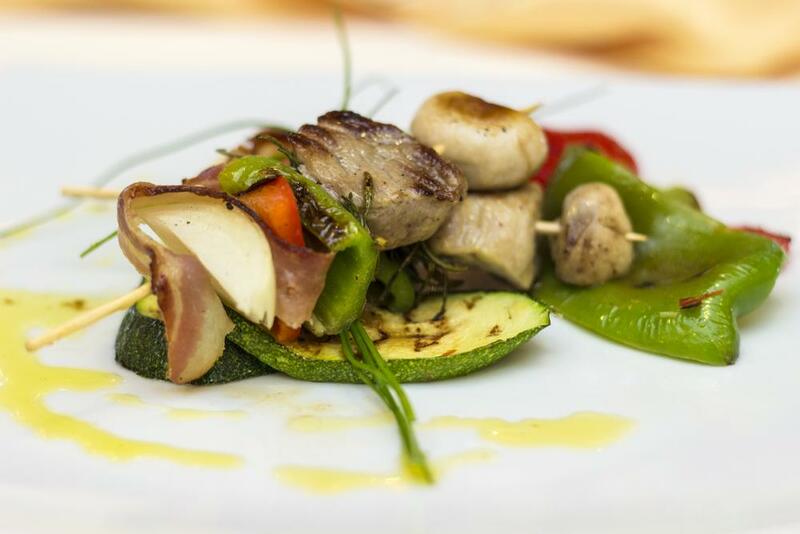 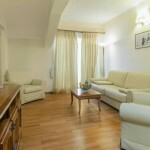 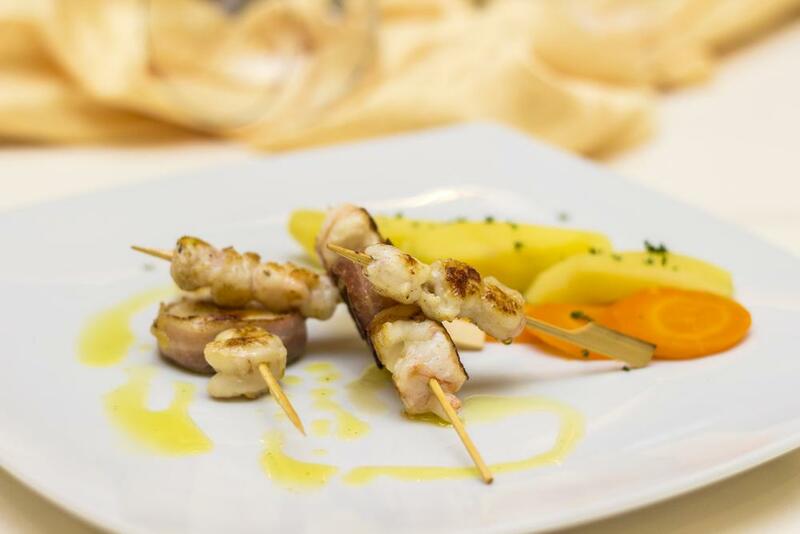 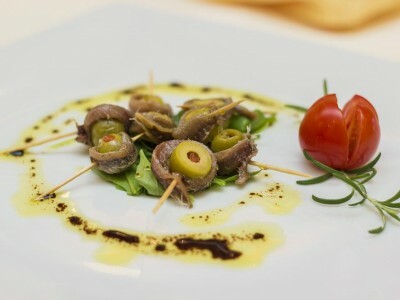 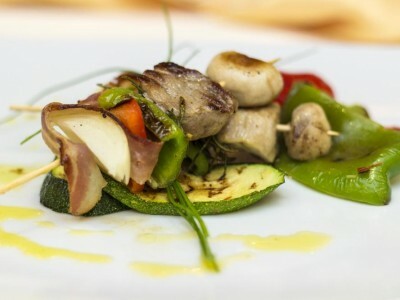 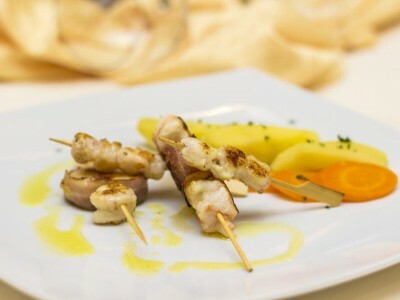 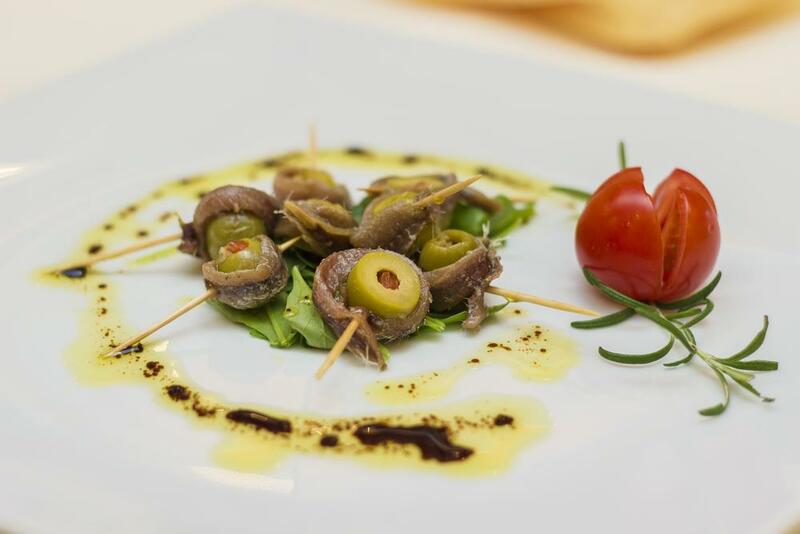 Dear guests, join us in a warm and pleasant atmosphere of the Hotel Spongiola restaurant!. 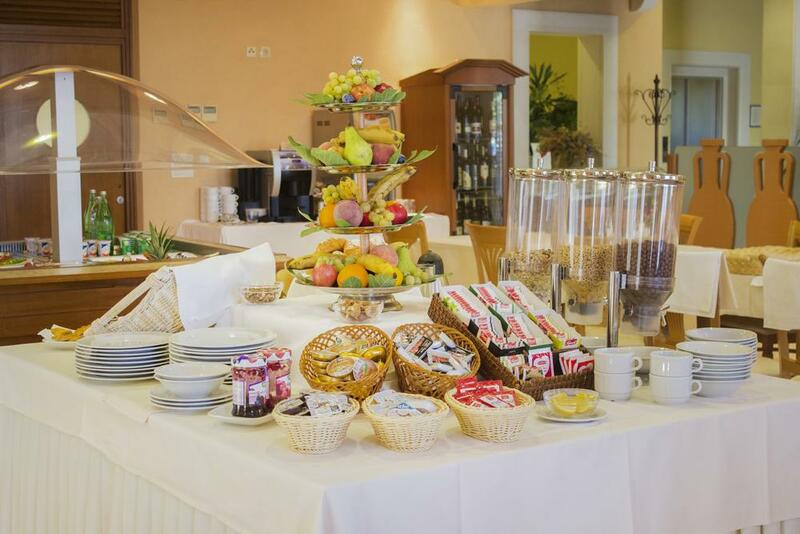 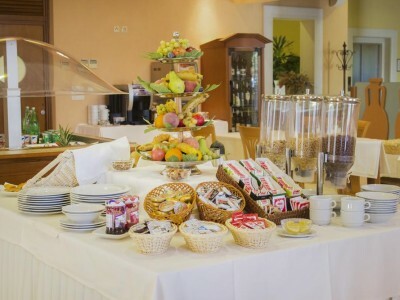 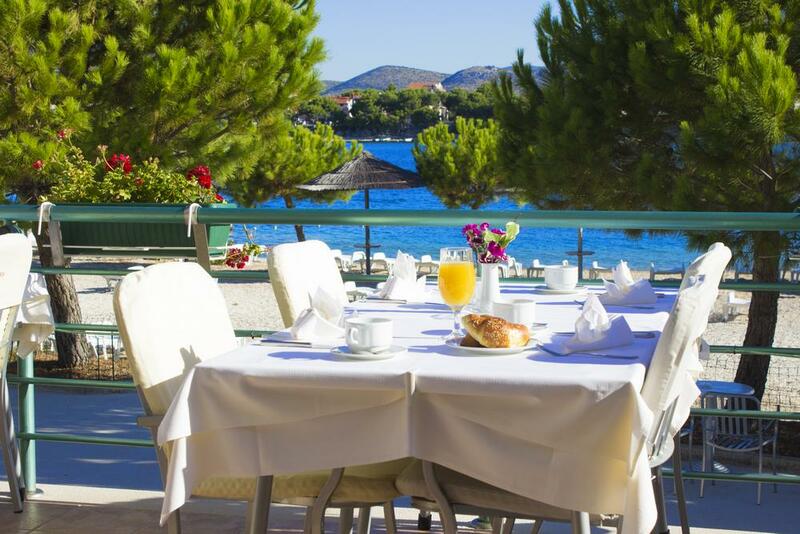 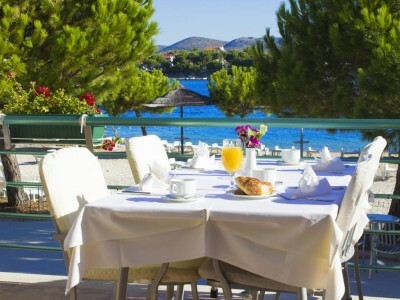 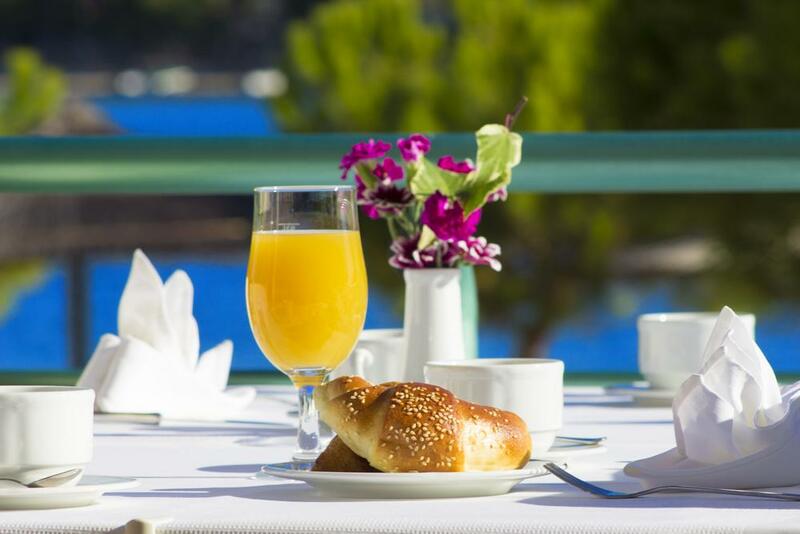 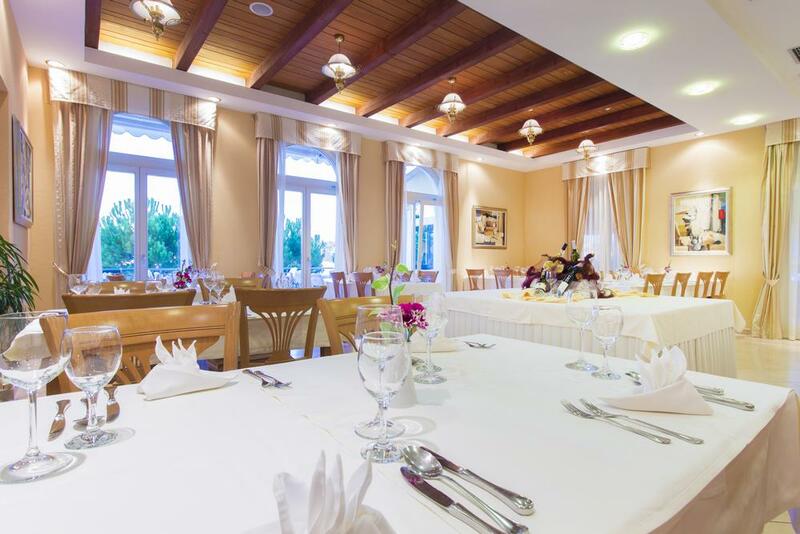 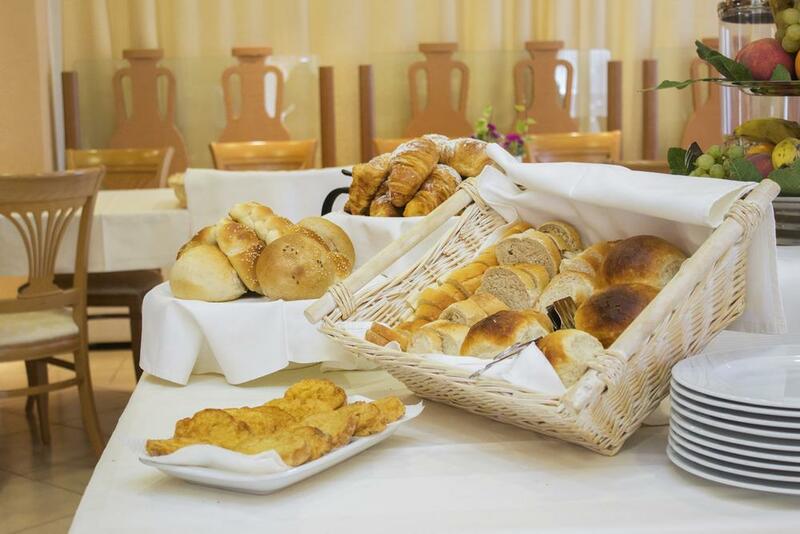 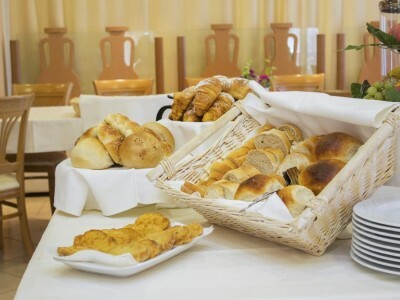 Every morning guests can choose from a buffet table with fresh bagels, various spreads, cheeses and cold cuts, fruits and vegetables, natural juices and hot beverages. 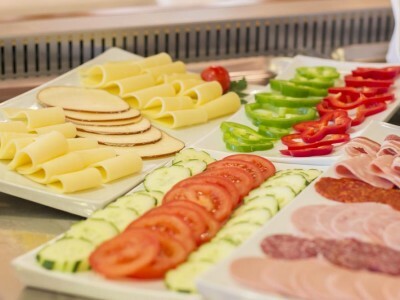 On your request we can make omelettes and other dishes. 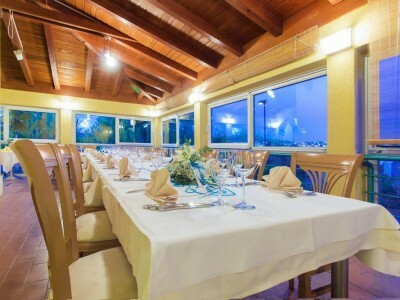 A nice feature of our restaurant is a rich wine list which consists mainly of local wines. 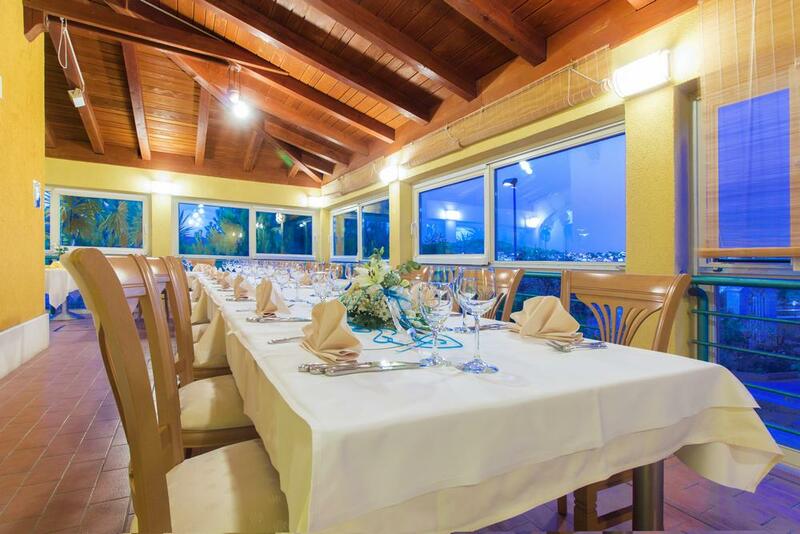 If you want to celebrate special occasions in our restaurant, we will be at your disposal! 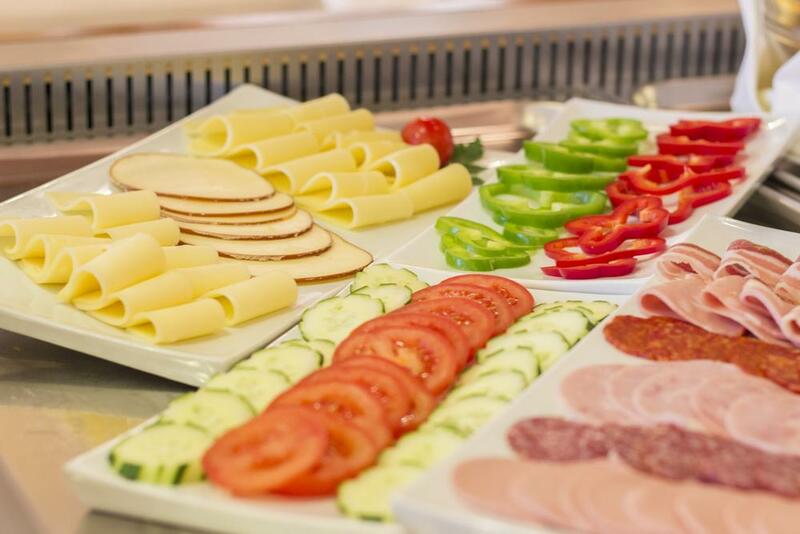 For hotel guests who chose half board or full board, we will prepare a choice of several menus, and youwill have a delicious lunch or dinner served in four courses. 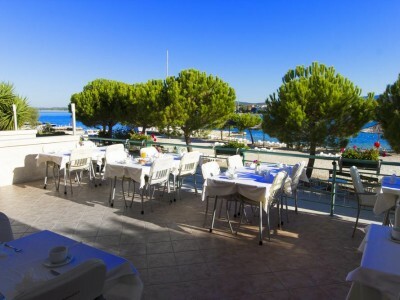 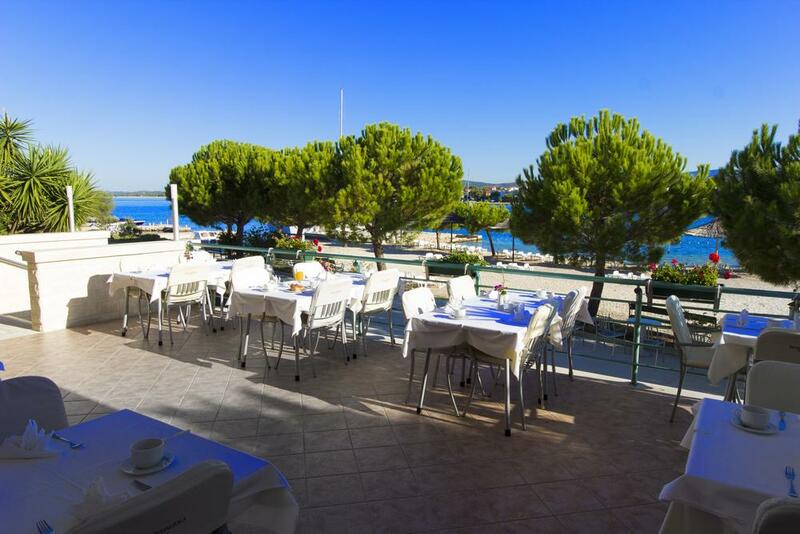 To reserve a table inside our air-conditioned restaurant or on the terrace, please contact our personnel!